My waters went Tue night at 11pm, 10 days early so I wasn&apos;t expecting it at all! Padraig started filling the birth pool and preparing the sitting room while I listened to my Gentlebirth tracks ready for a good nights sleep! By midnight surges started at 3 and a half minutes apart so sleep went out the window! I laboured leaning on the bed doing hip swaying and figure of 8 moves from yoga! Our midwife came around 2am, she decided to transfer me to the Coombe as my temperature was slightly raised so I never even saw the birthpool downstairs! I was 4cm dilated on arrival and progressed to 10cm with gas and air in 4hours, leaning over the head of the bed was the most comfortable for me. He arrived at 9:20am and we requested skin to skin, delayed cord clamping and a physiological third stage which all went perfectly! The midwives were so helpful with breastfeeding, please please tell the girls to ask for help with the latch if they&apos;re thinking of breastfeeding! I thought night 2 was supposed to hurt but once we got the latch right we were flying along!! 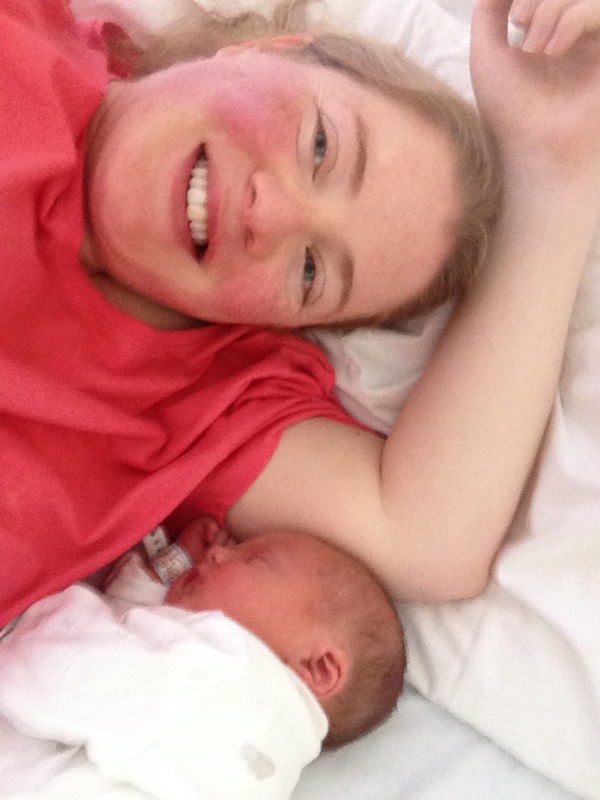 Posted in birth, birth story, breastfeeding, pregnancy and tagged pregnancy yoga tallaght.